Armstrong, Franny. Age of Stupid (Spanner Films, 2009). 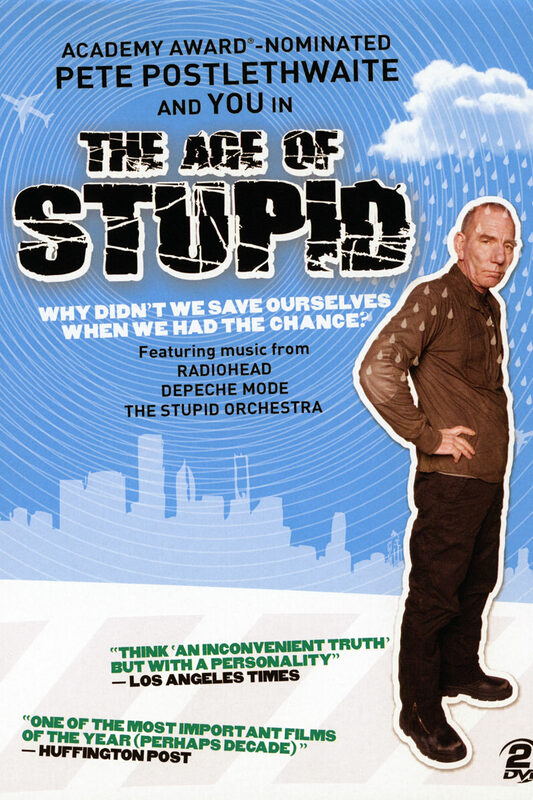 The Age of Stupid stars Oscar-nominated Pete Postlethwaite (In The Name of the Father, The Usual Suspects, Brassed Off) as a man living in the devastated future world of 2055, looking back at old footage from our time and asking: why didn't we stop climate change when we had the chance? Burns, Ken, Burns, Sarah, and McMahon, David. 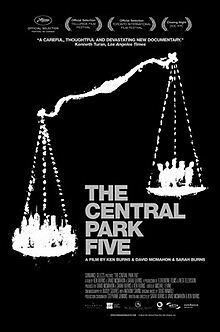 The Central Park Five (Sundance Selects, 2012). Caro, Niki. North Country (Industry Entertainment, 2005). Coogler, Ryan. 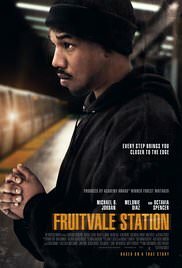 Fruitvale Station (Significant Productions, 2013). Though he once spent time in San Quentin, 22-year-old black man Oscar Grant (Michael B. Jordan) is now trying hard to live a clean life and support his girlfriend (Melonie Diaz) and young daughter (Ariana Neal). Flashbacks reveal the last day in Oscar's life, in which he accompanied his family and friends to San Francisco to watch fireworks on New Year's Eve, and, on the way back home, became swept up in an altercation with police that ended in tragedy. Based on a true story. DuVernay, Ava. 13th (Kandoo Films, 2016). 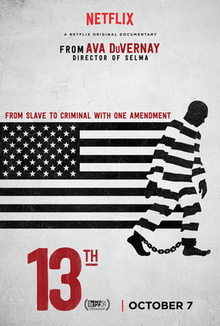 Centered on race in the United States criminal justice system, 13th is titled after the Thirteenth Amendment to the United States Constitution, which outlawed slavery (unless as punishment for a crime). DuVernay's documentary argues that slavery is being effectively perpetuated through mass incarceration. 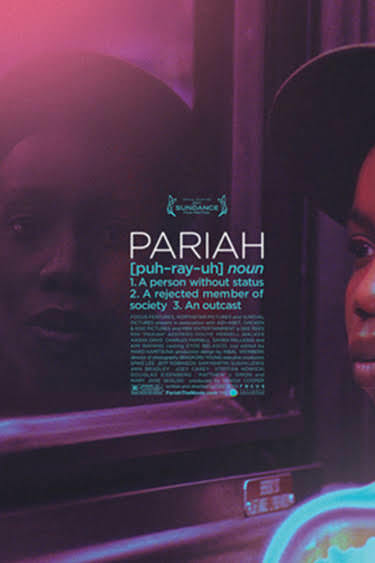 13th has garnered acclaim from film critics. Eslam, Farid. 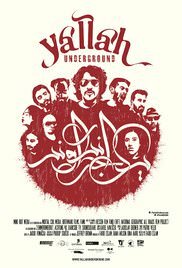 Yallah: Underground (Mind Riot Media, 2015). In a region full of tension, young artists in the Middle East have struggled for years to express themselves freely and to promote more liberal attitudes within their societies. During the Arab spring, like many others of this new Arab generation, local artists had high hopes for the future and took part in the protests. However, after years of turmoil and instability, young Arabs now have to challenge both old and new problems, being torn between feelings of disillusion and a vague hope for a better future. Yallah! Underground follows some of today's most important and progressive underground artists from Egypt, Lebanon, Palestine, Jordan and Israel through years of rapid change from 2009 to 2013. Fukunaga, Cary. 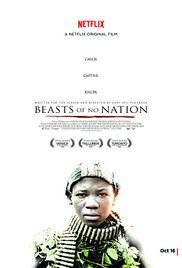 Beasts of No Nation (Princess Grace Foundation, 2015). Beasts of No Nation is a 2015 American war drama film written, shot, and directed by Cary Joji Fukunaga, about a young boy who becomes a child soldier as his country goes through a horrific war. Shot in Ghana and starring Idris Elba, Abraham Attah, Ama K. Abebrese, Grace Nortey, David Dontoh, and Opeyemi Fagbohungbe, the film is based on the 2005 novel of the same name by Uzodinma Iweala ― the book itself being named after a Fela Kuti album. George, Terri. Hotel Rwanda (2004). 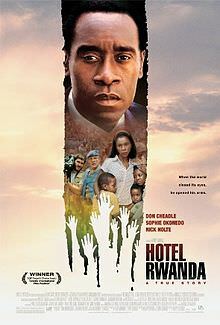 Paul Rusesabagina (Don Cheadle), a Hutu, manages the Hôtel des Mille Collines and lives a happy life with his Tutsi wife (Sophie Okonedo) and their three children. But when Hutu military forces initiate a campaign of ethnic cleansing against the Tutsi minority, Paul is compelled to allow refugees to take shelter in his hotel. As the U.N. pulls out, Paul must struggle alone to protect the Tutsi refugees in the face of the escalating violence later known as the Rwandan genocide. González Iñárritu, Alejandro. 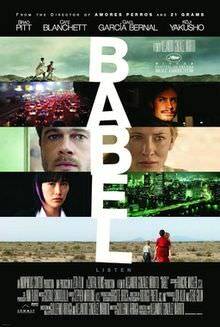 Babel (Anonymous Content, 2006). Ingrasci, Zach. Temple, Chris, Leonard, Sean, and Christofferson, Ryan. 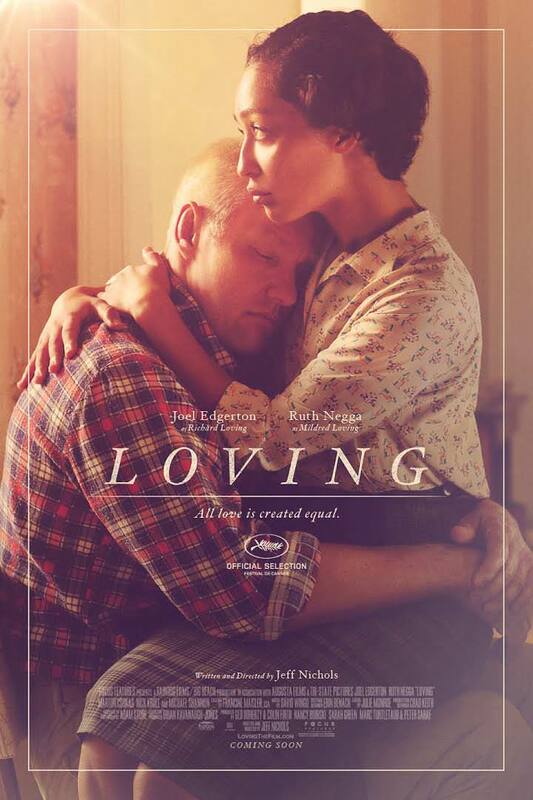 Living on One Dollar (2013). An award-winning film that has been called "A Must Watch" by Nobel Laureate Muhammad Yunus and Director of The Hunger Games, Gary Ross. 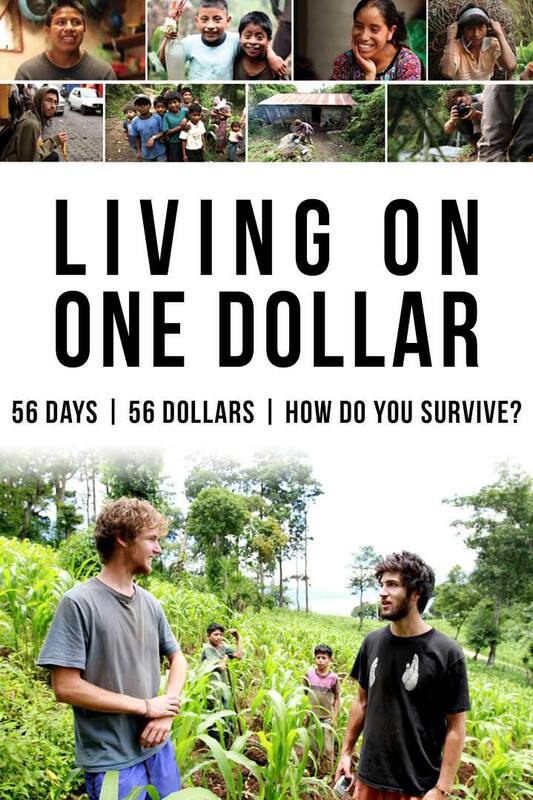 Living on One Dollar follows the journey of four friends as they set out to live on just $1 a day for two months in rural Guatemala. They battle hunger, parasites, and extreme financial stress as they attempt to survive life on the edge. Loach, Ken. 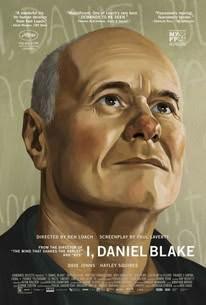 I, Daniel Blake (Sixteen Films, 2016). Moore, Michael. 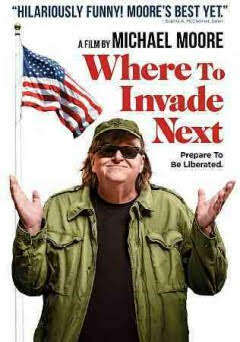 Where to Invade Next (Michael Moore, 2015). 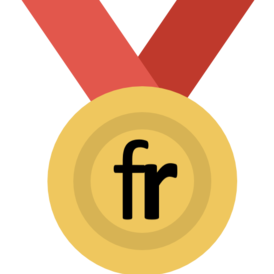 Presents the theory that the American dream, all but abandoned in the United States, has been adopted successfully in other countries, including Italy, France, Finland, Slovenia, Germany, Portugal, Norway, Tunisia, and Iceland, looking at such areas as worker benefits, public expenditure for the common good, and state-funded higher education. Murphy, Ryan. The Normal Heart (HBO Films, 2014). 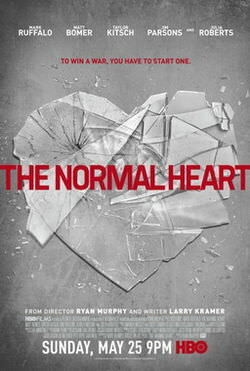 The Normal Heart is a 2014 American drama television film directed by Ryan Murphy and written by Larry Kramer, based on his own 1985 play of same name. The film stars Mark Ruffalo, Matt Bomer, Taylor Kitsch, Jim Parsons, Alfred Molina, Joe Mantello, Jonathan Groff, and Julia Roberts. The film depicts the rise of the HIV-AIDS crisis in New York City between 1981 and 1984, as seen through the eyes of writer/activist Ned Weeks (Ruffalo), the founder of a prominent HIV advocacy group. Weeks prefers public confrontations to the calmer, more private strategies favored by his associates, friends, and closeted lover Felix Turner (Bomer). Their differences of opinion lead to arguments that threaten to undermine their shared goals. Nava, Gregory. El Norte (American Playhouse, 1983). Mayan Indian peasants, tired of being thought of as nothing more than "brazos fuertes" ("strong arms", i.e., manual laborers) and organizing in an effort to improve their lot in life, are discovered by the Guatemalan army. 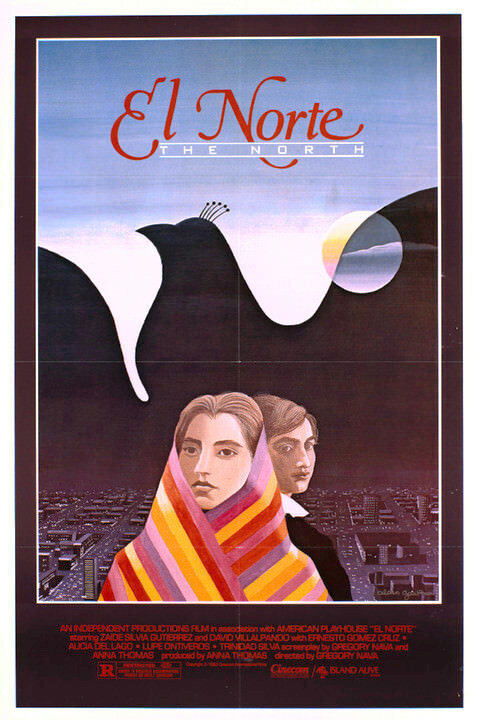 After the army destroys their village and family, a brother and sister, teenagers who just barely escaped the massacre, decide they must flee to "El Norte" ("the North", i.e., the USA). After receiving clandestine help from friends and humorous advice from a veteran immigrant on strategies for traveling through Mexico, they make their way by truck, bus and other means to Los Angeles, where they try to make a new life as young, and undocumented immigrants. Nelson, Stanley. 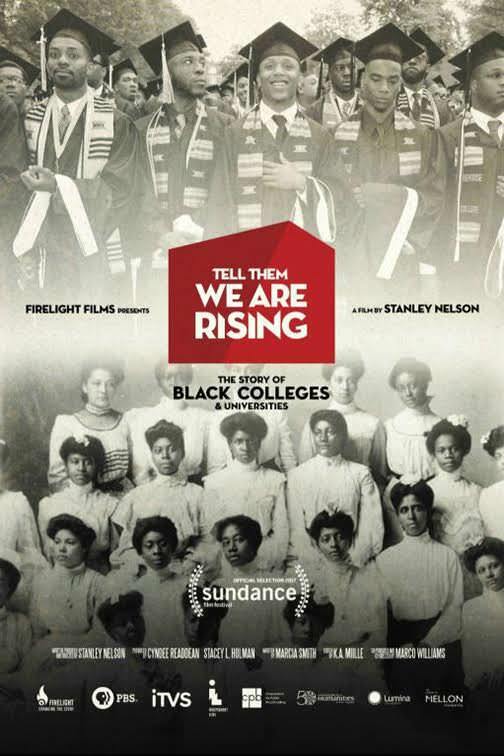 Tell Them We Are Rising: The Story of Historically Black Colleges and Universities (Firelight Studio, 2017). A PBS documentary and multimedia project that explores the pivotal role Historically Black Colleges and Universities (HBCUs) have played in American history, culture, and national identity. 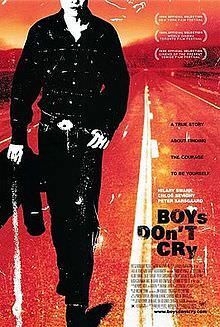 Young female-to-male transgender Brandon Teena (Hilary Swank) leaves his hometown under threat when his ex-girlfriend's brother discovers that he's biologically female. Resettling in the small town of Falls City, Nebraska, Brandon falls for Lana (Chloë Sevigny), an aspiring singer, and begins to plan for their future together. But when her ex-convict friends, John (Peter Sarsgaard) and Tom (Brendan Sexton III), learn Brandon's secret, things change very quickly. Phillips, Jenny; Kukura, Andrew; Stein, Anne Marie. The Dhamma Brothers (2007). In 2002, psychotherapist Jenny Phillips begins intensive meditation retreats for inmates at a maximum-security prison in rural Alabama. Based on the principles of Vipassana meditation, the 10-day retreats are conducted in total silence. This documentary explores the lives of four convicted murderers before, during and after the arduous retreats, as well as reactions from residents of the nearby town of Bessemer, many of whom object to the program on religious or social grounds. Tanović, Tanis. 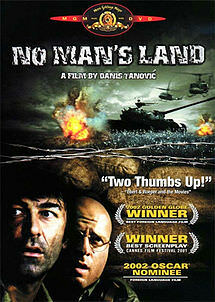 No Man's Land (Fabrica, Man's Films, Studio Maj, 2001). Ciki (Branko Djuric) and Nino (Rene Bitorajac), a Bosnian and a Serb, are soldiers stranded in No Man's Land -- a trench between enemy lines during the Bosnian war. They have no one to trust, no way to escape without getting shot, and a fellow soldier is lying on the trench floor with a spring-loaded bomb set to explode beneath him if he moves. The absurdity of their situation would be comical if it didn't have such dire consequences. Van Sant, Gus. 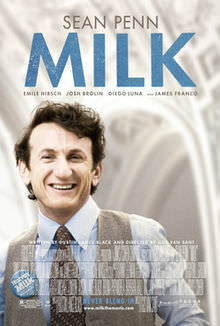 Milk (Axon Films, 2008).